Sid is wearing an Azone Fantasy Zone gear called 'hunters armament', which includes the bow, two arrows, quiver, shoulder and breast plates. Her short samurai sword is a separate piece that came in one of those boxed Japanese miniatures like Rement. 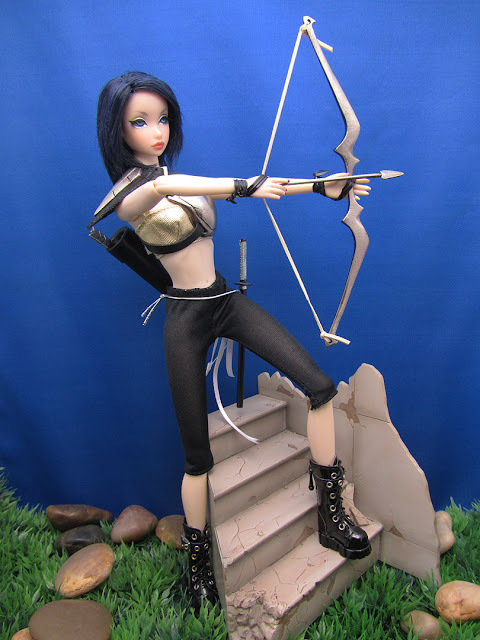 I figured if she was a huntress, she needs more than bow and arrows to hunt. All of these weapons are made of steel, not plastic (except for the leather straps, of course). To me, that is a big plus on the coolness factor when it comes to weapon miniatures. 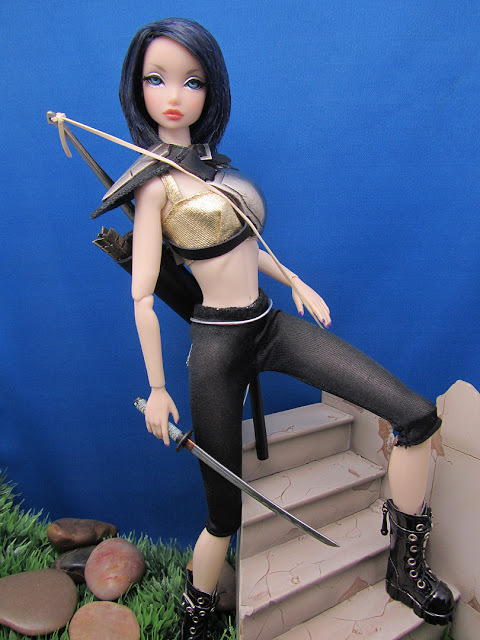 I found this Azone doll weaponry as I was browsing through The Doll Page about a year ago. Because I love weapons, it took me a millisecond to decide that I had to have it. Right away I pictured my Outsider Misaki doll, Sid playing with this. She just seems like the type. Whatcha think? Sid looks the type alright. Congratulations on your terrific finds - Azone has lots of fun, dramatic pieces for our figures.